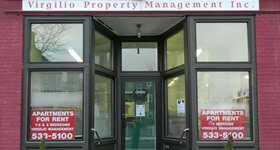 Since 1986, Virgilio Property Management, Inc. has been offering residential property management services to the communities of Western Massachusetts. 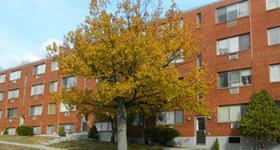 With a service area encompassing Holyoke, Chicopee, Springfield, and West Springfield MA, we currently manage over 600 residential units for over 20 clients. Our expertise and commitment to client satisfaction has made us the residential property management company that both property owners and tenants trust. Greg Virgilio, President of Virgilio Property Management, is a hands-on manager who stays actively involved in the day-to-day operations of the business. From screening tenants, to advertising properties to performing emergency maintenance when necessary, Greg is there to ensure that every client receives the very best service. As a property owner, Virgilio Property Management will help maximize your return on investment over the long term through diligent maintenance, comprehensive tenant screenings and a commitment to keeping your apartments rented. We take great pride in maintaining clean, well cared for properties, which we accomplish through regular inspections, security checks and a prompt response to maintenance requests. Tenants are the cornerstones of our business, and we’re dedicated to providing them with the best rental experience possible. By responding promptly to service calls and doing our best to eliminate safety and security issues, we work hard to provide all of our tenants with clean, safe and affordable housing. To best accommodate tenants of all income levels, we maintain a waiting list for the low-income units we manage.